The third installment in the What the Most Successful People Do series looks at how we can make the most of our time on the job. With stories from highly productive people who get it done (and get home), this ebook offers tips that will help you make over your career — and life. In the bestselling mini-ebook What the Most Successful People Do Before Breakfast, Laura Vanderkam showed us how to take advantage of our often ignored morning hours to achieve our dreams. Then in the sequel, What the Most Successful People Do on the Weekend, she revealed why the key to a better week is a better weekend. Now, in the third mini-ebook of this trilogy, What the Most Successful People Do at Work, Vanderkam shows us how to ignite our careers by taking control of our work days. Mornings hold the key to taking control of our schedules. If we use them wisely, we can build habits that will allow us to lead happier, more productive lives. Drawing on real-life anecdotes and scientific research that shows why the early hours of the day are so important, Laura Vanderkam reveals how successful people use mornings to help them accomplish things that are often impossible to take care of later in the day. While many of us are still in bed, these folks are scoring daily victories to improve their health, careers, and personal lives without sacrificing their sanity. 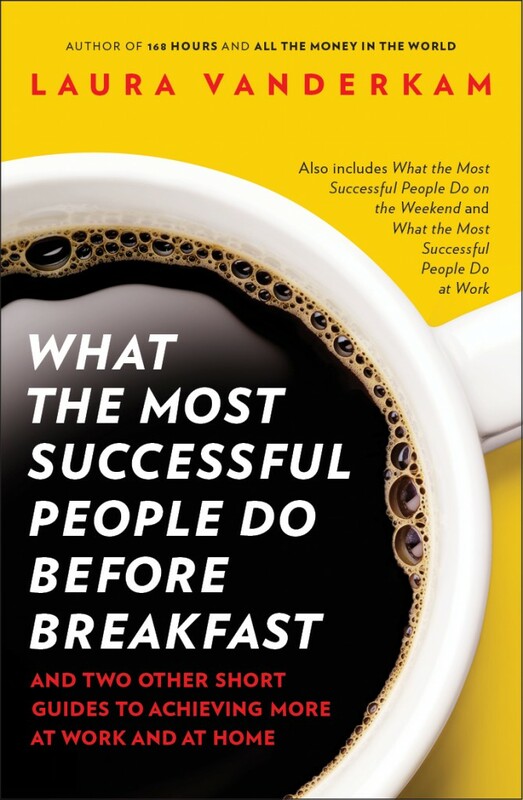 What the Most Successful People Do Before Breakfast is a fun, practical guide that will inspire you to rethink your morning routine and jump-start your life before the day has even begun. With this newest ebook in her What the Most Successful People Do series, Laura Vanderkam shows how we can take control of our weekends to get necessary R&R, while also using our downtime as a springboard to a productive week. Drawing on real-life anecdotes and scientific research, Vanderkam explains why doing nothing can be more exhausting than doing something, and why happy people make weekend plans in advance. She reveals the kind of weekend activities that make people happiest, explains why it’s important to unplug at least for a little while, and shares the secret of why Sunday night may be the most important part of any weekend.